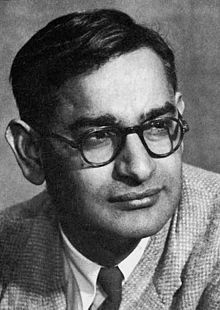 Bitheolaí móilíneach a rugadh i Raipur na Pacastáine (san India ag an am) is ea Har Gobind Khorana (1922-). Rinne sé taighde i Meiriceá Thuaidh ar shintéisiú núicléitídí, agus i 1970, an chéad sintéisiú géine saorga, saothar a bhí tábhachtach i réiteach an ghéanóim dhaonna. Le Robert Holley is Marshall Nirenberg, bhuaigh sé Duais Nobel na Fiseolaíochta nó an Leighis sa bhliain 1968 as an saothar seo. Tugadh an leathanach seo cothrom le dáta an 24 Samhain 2018 ag 07:34.